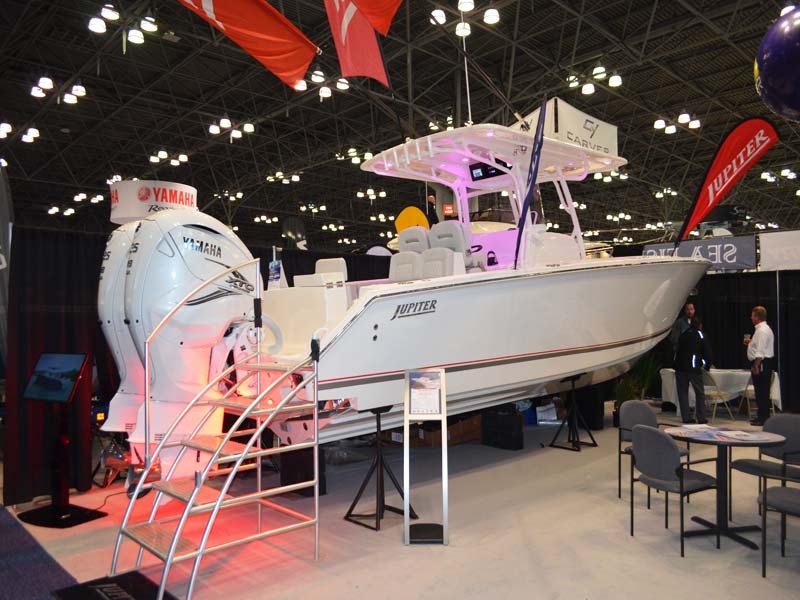 The 2019 Progressive Insurance New York Boat Show docks at the Javits Center January 23-27, 2019 bringing lifelong boaters and enthusiastic dreamers the latest in luxury motor yachts, sport fishers, performance boats, watersport boats, and thousands of new marine technologies and accessories. 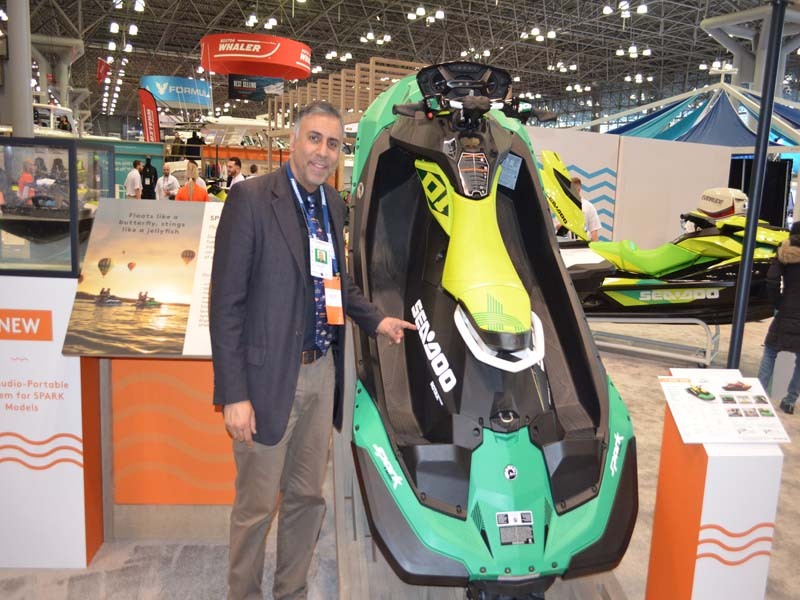 A New York tradition since 1905, the five-day event delivers a shopping paradise for boaters with the latest in boating innovations, plus interactive boating workshops and fun for the whole family. SHOW HIGHLIGHTS: NEW! Super Thursday: Elevate savings, shopping, and boat show fun to superstar levels. 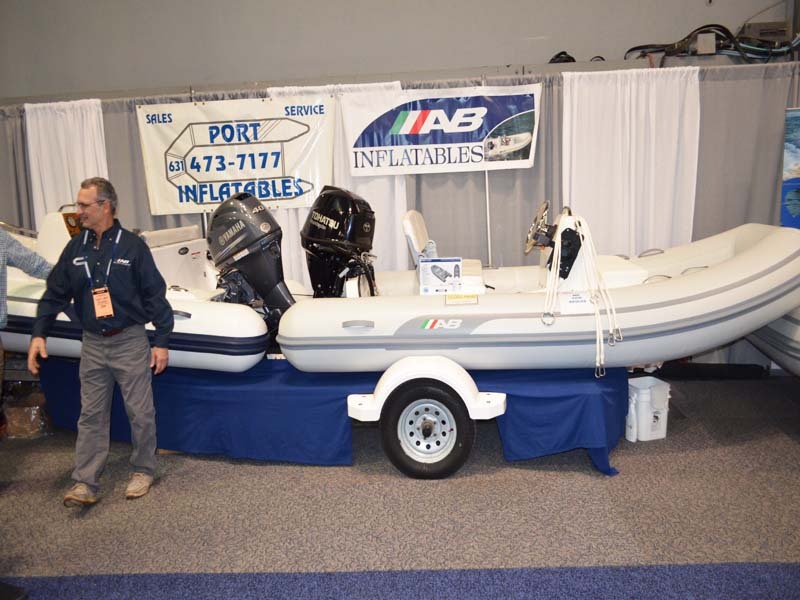 The Boat Show is the best place to shop and compare boats side by side, plus take advantage on show specials every day – new this year, Super Thursday specials include even deeper savings on the best in boating, food & drink specials! Tickets are just $5 when you visit after 5 p.m. on Thursday, January 24! NEW! Expanded Touch-a-Boat Tour for Kids: This interactive tour gives kids their very own boating passport to explore more than 10 boat stops where they can board different types of boats, snap a pic at the helm, learn the ropes of life on the high seas, and win a prize for visiting all stops! Plus, swing by the Create-a-Boat station, where little skippers can build their very own wooden boat. NEW! Career Fair at New York Boating Career Day: As the boating industry continues its 7-year growth track, New York and national manufacturers, marinas, and boating businesses are focused on workforce development and job growth. On January 23, New York Boating Career Day will feature an all-day Career Fair open to job seekers across all aspects of the industry, plus morning tours and talks for hundreds of New York City high school and college students looking to chart a career in the recreational boating industry. By air & by sea in the Icon A5 Aircraft, an incredible amphibious sports plane! Making its NY Boat Show debut, the two-seat portable plane has wings that fold back, allowing it to be hauled by trailer like a boat or ATV, which means you can launch and land from anywhere – no airport necessary! The A5 has a top speed of 110 mph, a 450-mile range, and a spin-resistant frame that makes it one of the easiest planes to keep in the air. Meet New York Knicks power forward Lance Thomas, who shoots right and scores fish any chance he gets with his pro fishing team, SlangMagic. The avid offshore fisherman will be on site January 24 3-4pm to check out the latest boating innovations, meet & greet fans, and help Mercury Marine celebrate their 80th Anniversary. NEW! There’s electricity in the air as the 100% electric powered Fantail 217 makes its first appearance at the NY Boat Show. Powered by the same Lithium Ion Panasonic batteries as the Tesla, an overnight charge will provide 8 continuous hours of cruising at a speed of 6 mph. The design is inspired by the graceful fantail launches that have been navigating on the Thames, the Hudson River and wild Canadian lakes for more than a century. The Fantail 217 can accommodate up to ten guests and will surely attract attention wherever you dock. Boat hop and shop magnificent motor yachts, tricked out runabouts, serious center consoles and watersports boats galore with 350 different vessels to inspire an unforgettable summer on the water – including a full selection of boats that can be financed for less than $250 a month. 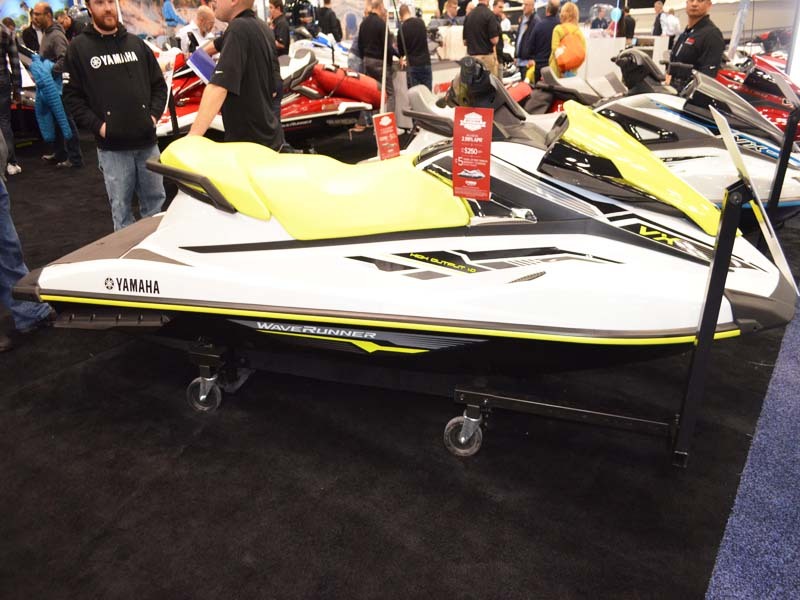 Plus experience new technologies and upgrade tech and water toys with thousands of the latest GPS and radar systems, fishing equipment, all-weather apparel & water sports gear. Progressive® Boat Club: In this interactive space, attendees can boost their nautical know-how with top-notch mariners teaching hands-on boating courses for all levels of experience. Visitors can also try Progressive’s Oculus Rift virtual reality experience, putting themselves at the helm of a virtual boat race. The U.S. Boating Industry generates $170.3 billion in economic activity. wakesports boats, personal watercraft, and pontoon & freshwater fishing boats. There are 35,000 marine businesses in the U.S. supporting 690,000 direct and indirect jobs. 142 million Americans go boating each year. The New York State boating industry has a total economic impact of $8.4 billion, supporting 37,574 direct and indirect jobs with approximately 2,400 boating business in New York State. The New York State boating industry grew to more than $734 million in sales in 2017, up 4.3% from 2016. 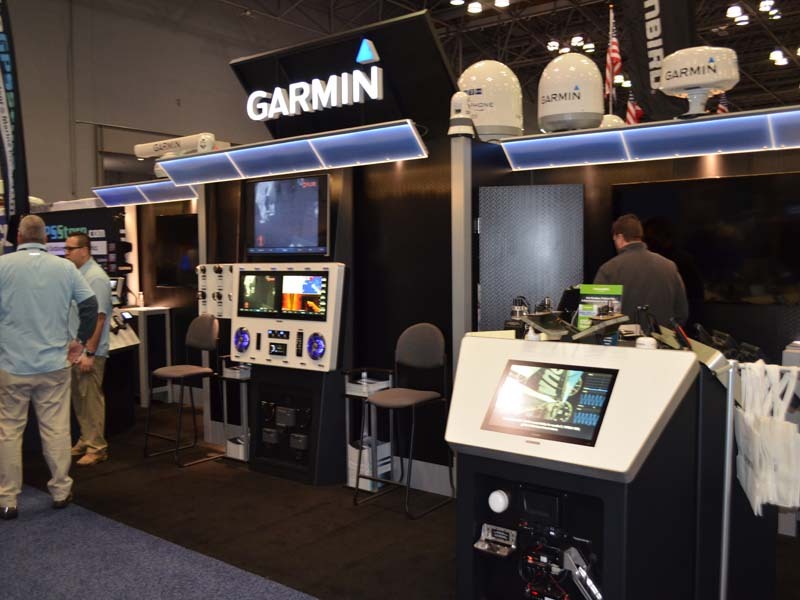 Since its inception, the Progressive Insurance New York Boat Show has welcomed nearly 9 million boating enthusiasts to explore the best of life on the water, and served as a key revenue generator for boating businesses in New York and beyond. 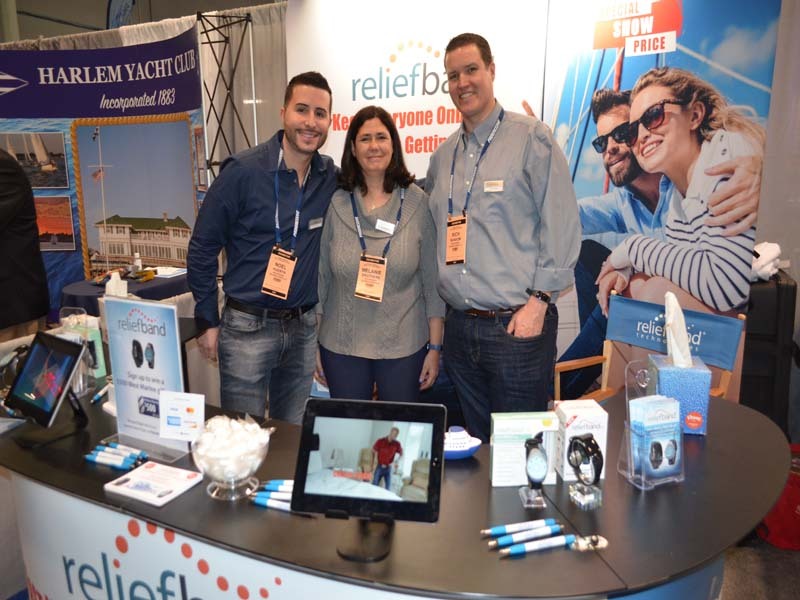 One interesting vendor we saw relief band , Reliefband® 2.0 is indicated for use in the treatment of nausea, retching and vomiting due to motion sickness, chemotherapy and morning sickness associated with pregnancy. Reliefband 2.0 is also indicated as an adjunct to antiemetics in reducing postoperative nausea.Drug-free Reliefband 2.0 uses clinically-proven technology to quickly and effectively relieve nausea, retching and vomiting.Includes charging cable and one 7.5 mL tube (0.25 oz) of hypoallergenic conductivity gel. See more about relief band by clicking here. 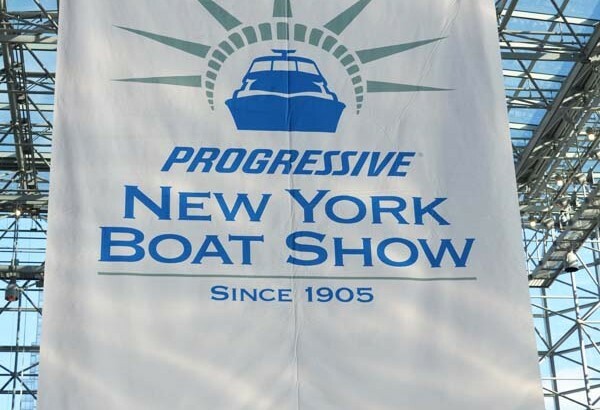 See more about The 2019 Progressive Insurance New York Boat Show in our World Liberty TV Luxury Channel and Blogs by clicking here.